Debra Marie Welker (64) passed away at her home in Tempe on Tuesday January 16th, 2018, after a long battle with Alzheimer’s. She was born on August 25th, 1953. She was a native Arizonan and lifetime resident of Tempe, who loved her hometown immensely. She graduated from Tempe High School in the year 1971. She was preceded in death by her mother Beatrice Burnette Roberts, father Milton Roberts, and sister Meltina Roberts. She is survived by her brother Billy Ray Reynolds, husband James Brent Welker and 5 children Adam, Marie, Bruce, Tiffany, and Maggie. Two grandsons also survive her, Ezra and Lincoln. Debbie was a faithful member of the Church of Jesus Christ of Latter-day Saints, and was married to her husband Brent in the Mesa Arizona Temple where they were sealed for time and all eternity on April 16th, 1977. They shared 40 wonderful years together. During that time, Debbie was a devoted wife, mother and homemaker. She was an exceptionally talented cook and was capable of preparing delicious meals from even a few ingredients. She also participated in the compilation and publication of family and church cookbooks. Along with her creativity in the kitchen, she loved crafts, including both scrapbooking and card-making. She happily shared her variety of talents through teaching others. 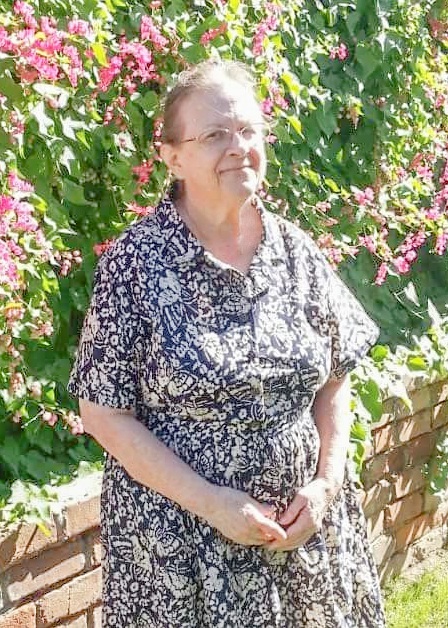 Her devotion to her faith and her love of the Lord was reflected by a lifetime of active service in the Relief Society, together with a lifetime of quiet and unseen acts of service for others. That service included preparation of countless meals for those in need and fighting for the vulnerable. Debbie will be remembered for her efforts to make her home a refuge for her family. She will also be remembered as an advocate and protector for all who were close to her, along with others who needed a champion. Her legacy is one of unending service for others, and endless love for her faith and family. In lieu of flowers, donations can be made in memory of Debbie to the Alzheimer’s Brain and Research Center. Additional viewing on Wednesday, January 24th from 10-10:40 am, followed by an 11 am service, both at the Church of Latter-day Saints chapel located at 1221 W. Howe St, Tempe, AZ 85281. Debbie was a dear friend to me during High School and I appreciated her constant work to help others. She was a very special woman. My kindest thoughts those she left behind.